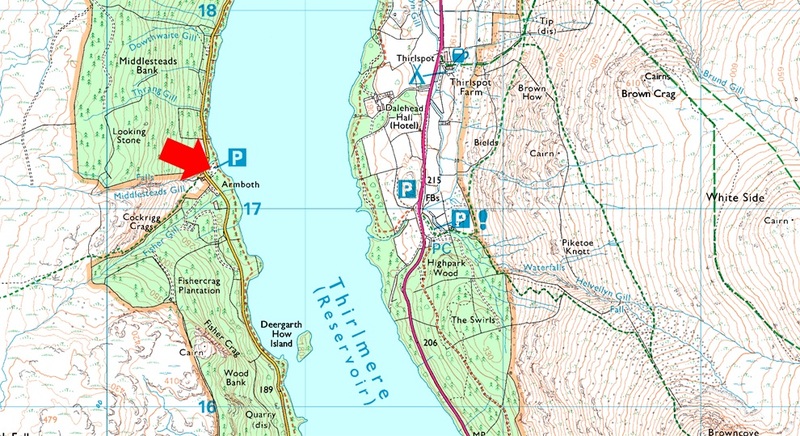 Notes: A medium sized surfaced Pay and Display car park owned by United Utilities on the western shore of Thirlmere. The car park has toilet facilities and a Ice Cream Van is known to park here during the Summer months. Despite the popularity of the area and with added car parks along the shores of Thirlmere you are generally guaranteed a parking space, charges apply.